"Nashville Rockers, Bad Cop, are a group of rebellious souls that aren’t afraid to speak out about their beliefs, dreams and sh*t that you won’t read in magazines. Influencing listeners to soak up their positive energy as momentum continues to grow with every new release, ‘Hello, Mr. Sunshine’ serves to prove that Bad Cop’s sun-drenched fervor and inventive sound is profound. 6/26/2018- Memphis, TN- The Hi-Tone with BukuSteez. 9 pm. 18+. $7. 7/13/2018- Mobile, AL- The Merry Widow. 9 pm. 21+. $7. 7/14/2018- Shreveport, LA- Big Ds. All Ages. $3 under 18, $5 over 18. 7/19/2018- Hot Springs, AR- Maxine's. 21+. $8. 7/20/2018- Dallas, TX- Private Event. $18. 8/24/2018- Hot Springs, AR- Maxine's. 21+. $8. 8/25/2018- Springfield, MO- The Outland. 21+. $12. The release of our new album "Hello Mr. Sunshine" has been a smashing success in regard to streams, sales, and reception. Spotify playlist "True Indie" was so enamored by the new album that Bad Cop frontman Adam Moult now graces their playlist cover. Check out the playlist on Spotify and make sure to purchase "Hello Mr. Sunshine" through the link below. Culture collide reviews new single "ALVICASS"
"Nashville neo-psych rockers Bad Cop have been in the game close to a decade, and while they have always hit the bullseye with their razor-sharp material and prodigious live show, their polarizing rock and roll antics remained a constant threat against their sophomore album ever seeing the light.."
"Rock and Roll is meant to be dirty and loud. Bands like Rolling Stones and The Dead Boys have been guideposts for bands to follow. 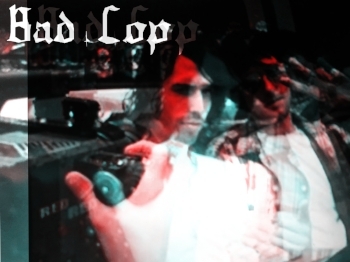 Bad Cop is a great example of Rock’s impurity. 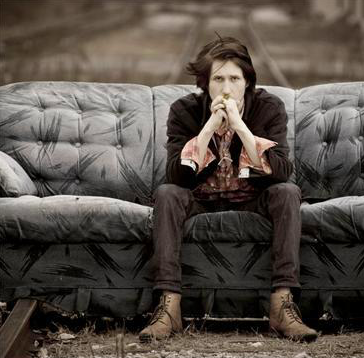 The new LP from the Nashville based band is called Hello Mr. Sunshine. Don’t let the title fool you. Bad Cop isn’t about brightening your day..."